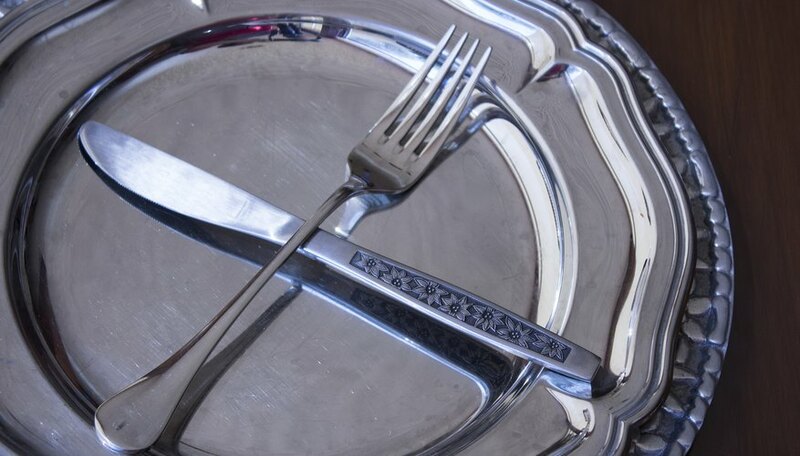 To the naked eye, French silver plate often looks identical to French solid silver. It take close inspection and knowledge of a few key features to reliably tell the difference. Silver plating is the process of applying a thin layer of silver to another, inexpensive, metal, such as nickel or copper. 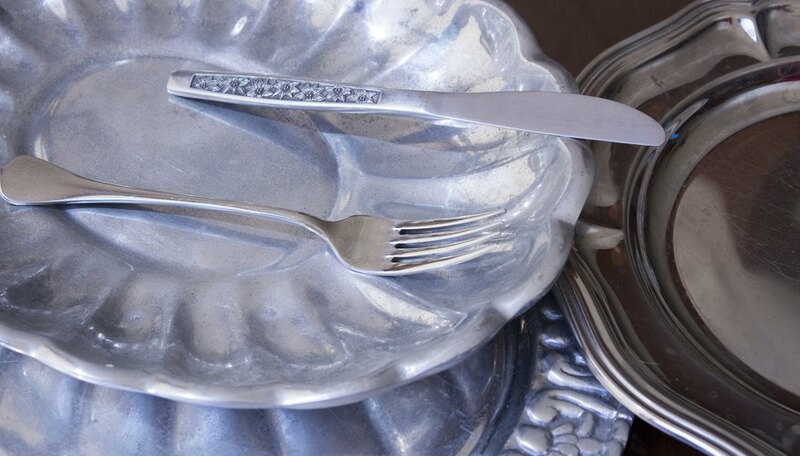 Because of their lower silver content, silver plate items are generally worth less than solid pieces, though old French silver plate is often in demand. Silver plating did not begin in France until the mid-1800s. The process was first invented in England in the 1740s by Sheffield manufacturers. 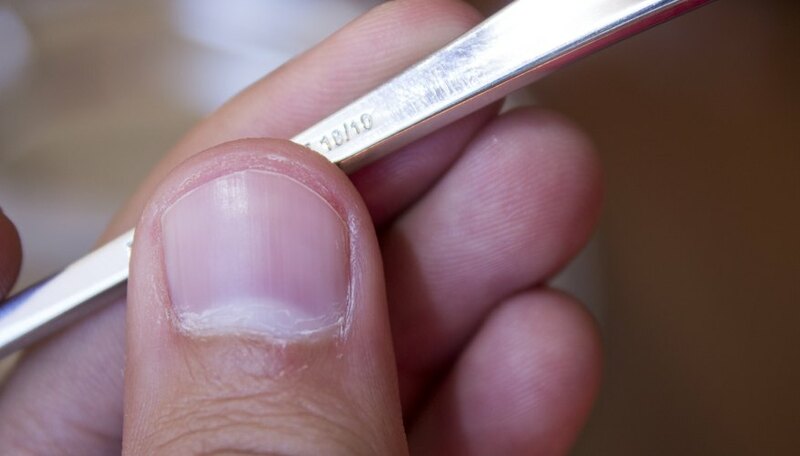 Their technique used a combination of chemical and mechanical means to fix the silver layer. Electroplating started in England in the 1840s and soon spread to France. Silver hallmarks are symbols pressed into items to identify the maker, silver quality and other information. The first official hallmarks were established in France in 1260, making them one of the oldest forms of product identification marks for consumers. French silver plate hallmarks are usually contained in a rectangle or square, unlike the traditional lozenge shape found on solid French silver. Flatware marks are frequently located inside a spoon's bowl or just above fork tines. French solid silver tends to use symbols and initials for identification, rather than numbers. 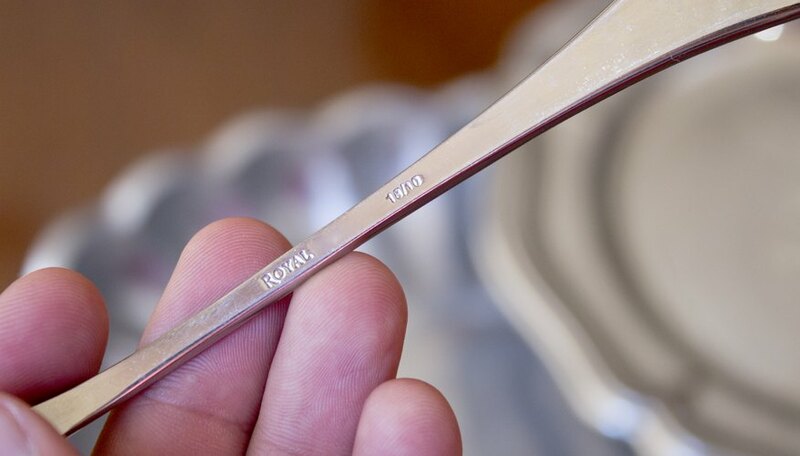 You can identify French silver plate by a number alongside a maker's mark. The number refers to the grams of silver used in the electroplating process. So, a spoon may bear the mark "12 G" or "12 Gr," indicating that 12 g of silver created the item. The number "84 G" or "84 Gr" or similar means 84 g of silver. Charles Christofle was the first maker to introduce French-made electroplated silver to the market. He bought the rights to the electroplating process from the Birmingham manufacturers George and Richard Elkington. The Christofle mark varies over time. Early marks include the initials "G" and "C" with a pair of scales in the middle. Later marks include a cockerel above the word "Gallia" for the Gallia silver range. The word "Christofle" is often found next to the maker's mark. 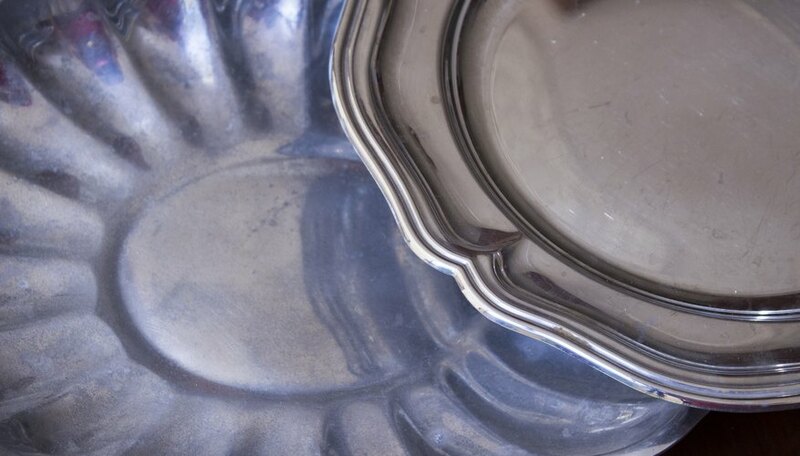 Old or worn French silver plate may look different from antique solid silver. If the silver layer is rubbed too thin, nickel or other base metals may be visible below the surface. This can sometimes take the appearance of dull green or reddish areas. Unlike silver, copper oxidizes with air over time and turns green, though nickel is more commonly used in French plate.